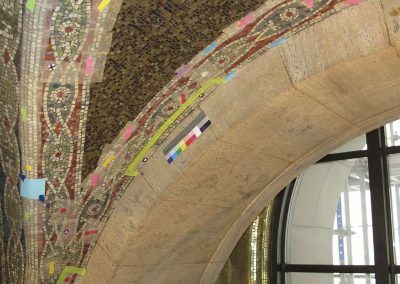 RLA was retained by NORR Architects of Canada to assess the conditions of the glass tile mosaic vaulted ceiling at the Wellington Building in Ottawa, Ontario. 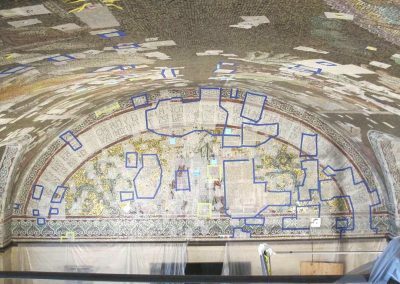 The Wellington Street building had undergone an extensive abatement, demolition and seismic stabilization during the course of which vibrations from tools and equipment had affected the foyer ceiling and walls. 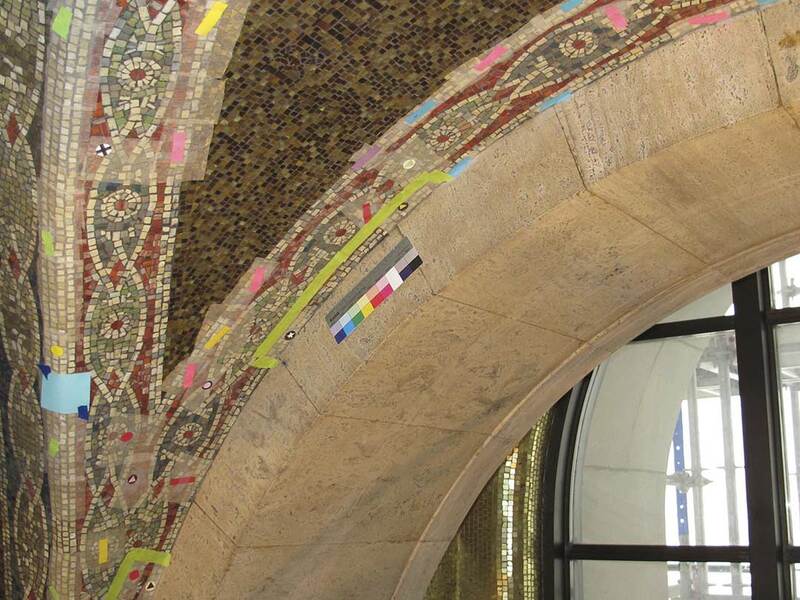 Vibration meters installed along the east wall and behind the ceiling were set to a conservative 3mm cut off, and work was discontinued and altered if these levels were exceeded. 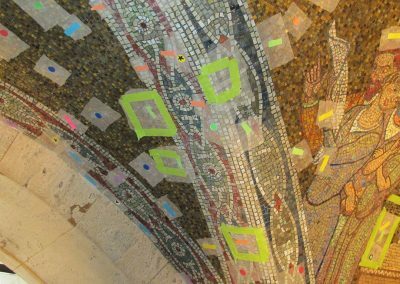 Periodic inspection of this space was undertaken over the course of which some loosening of tiles and cracking of grout was noted. 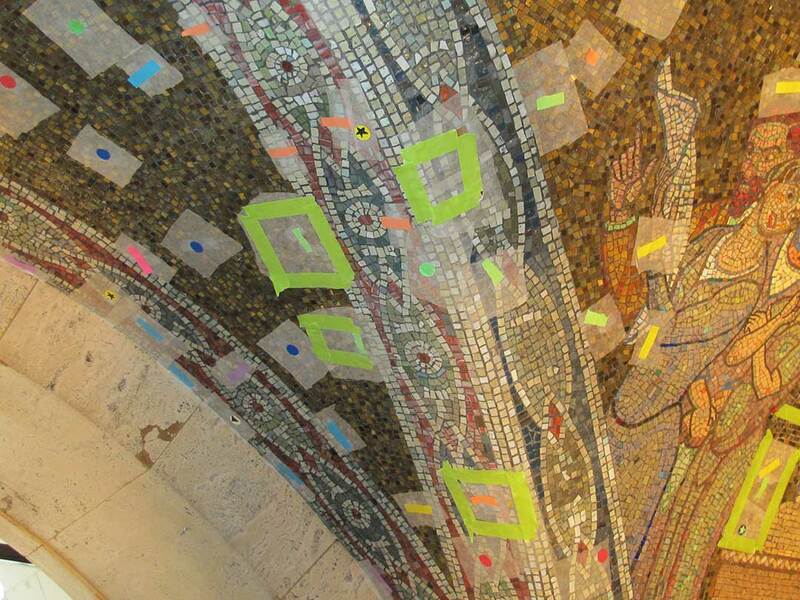 Emergency stabilization of areas deemed weak or weakened was carried out through the placement of facing papers. 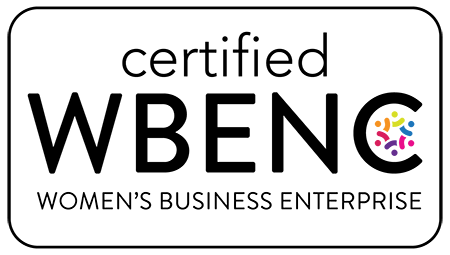 RLA’s assessment led to the production of an RFP, which was awarded to a Canadian firm as required by law. 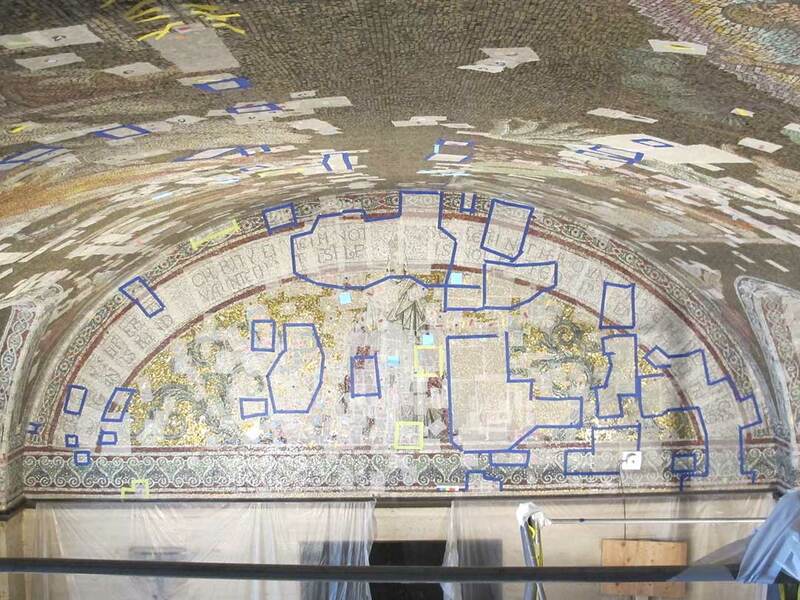 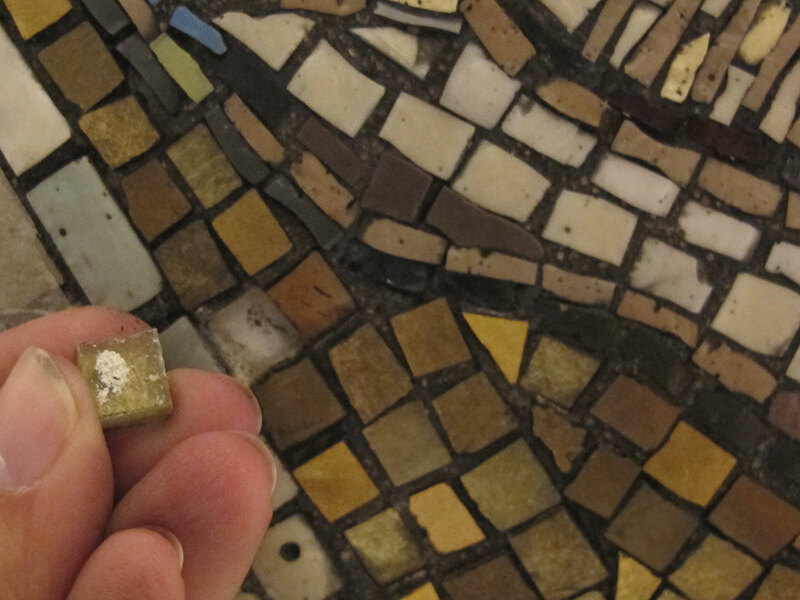 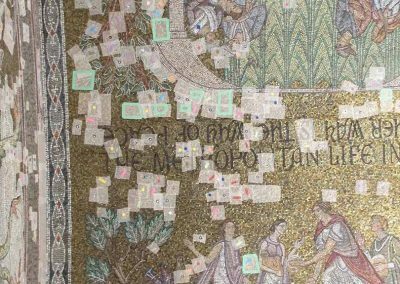 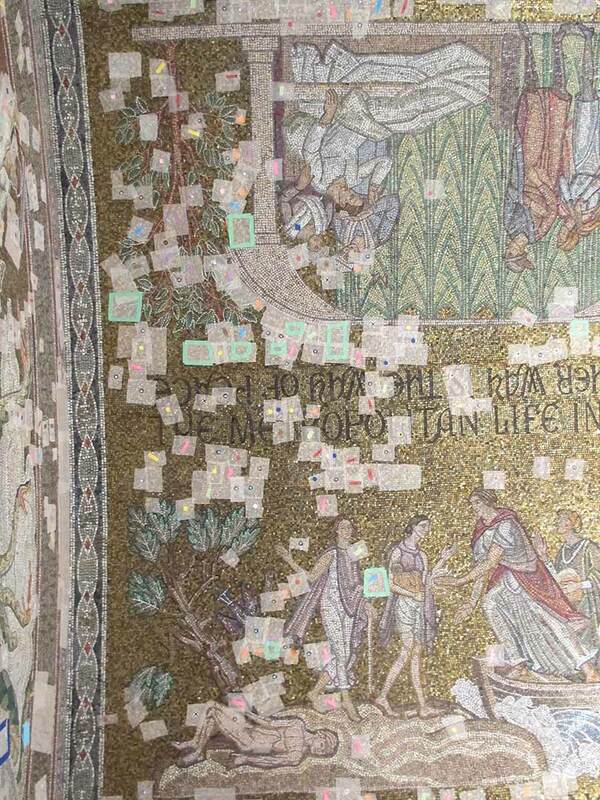 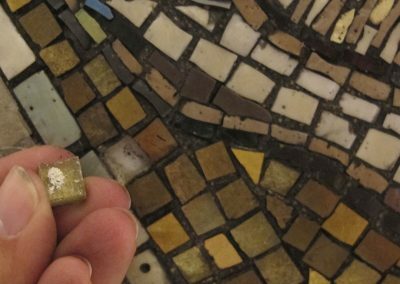 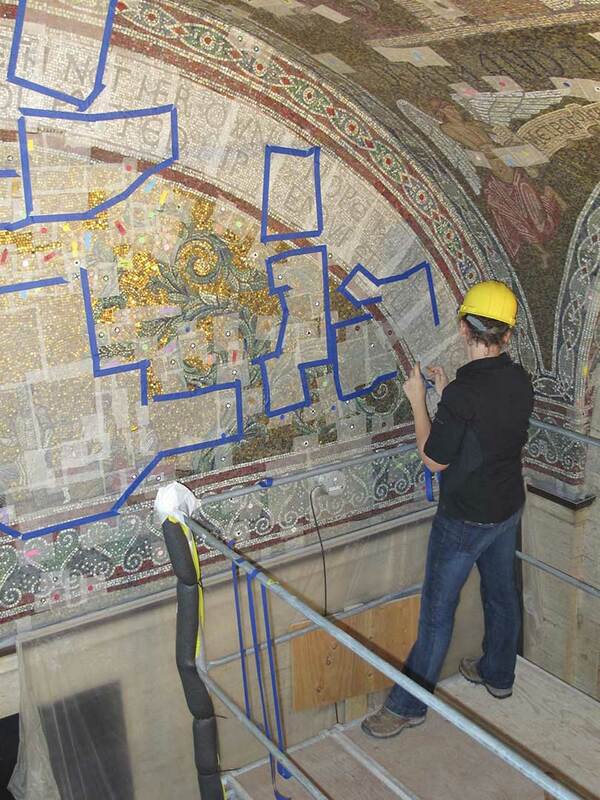 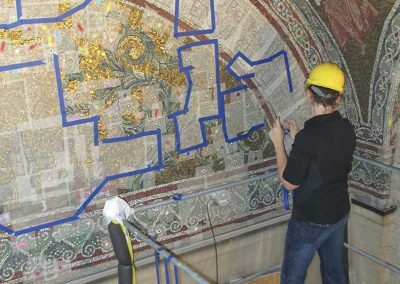 Because of RLA’s vast experience with mosaics, the architects retained us to review the work of the selected conservation contractors and insure that work was performed to specifications.